The Lectures on Poetics Series at the University of Frankfurt VI has hosted many illustrious speakers at its lectern, including Ingeborg Bachmann, Theodor Adorno, and Heinrich Böll. At the beginning of 2007, Urs Widmer—described by the Independent as “one of the living greats of Swiss literature”—spoke to more than twelve hundred students and enthusiasts, sharing the sum of his understandings of poets and their timeless creations. 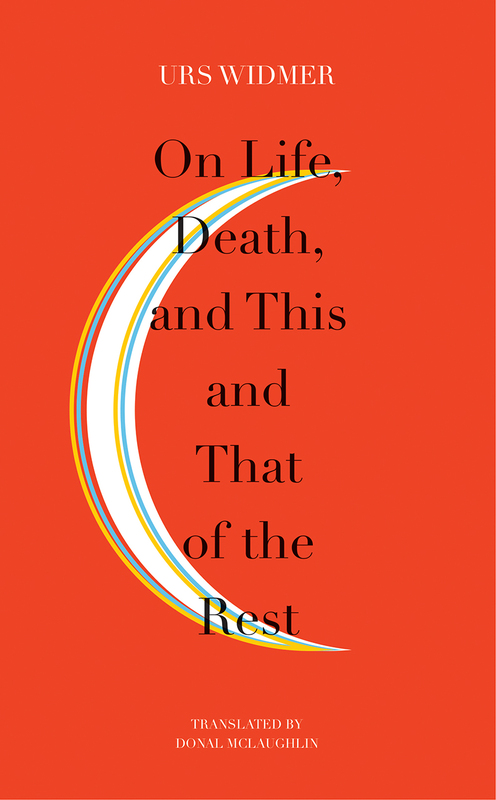 In On Life, Death, and This and That of the Rest, English language readers will gain access to Widmer’s historic talks for the first time through Donal McLaughlin’s excellent translation. Here, Widmer imparts his views on the poet as deviant and as sufferer, and as the conduit for the dream of singing to the imagination in the nameless voice of the people. Here, one of our finest living writers shares his experience of life as an author and as a devotee of the printed word with a new and enthusiastic readership.